One of my favorite units to teach is Dia de los Muertos or Day of the Dead. Dia de los Muertos introduces students to the colorful world of this happy celebration that honors deceased relatives. Children learn about the traditional celebration, common in Mexico and parts of the United States, that is celebrated on November 1 and 2. A fantastic book that incorporates all the history and key items to help prepare for Dia de los Muertos are found in this colorful book Day of the Dead by Tony Johnston and Jeanette Winter. My students just absolutely love this unit! We have been making all the beautiful items used in one’s home for the special day. Inspired by the books illustrations, 5th grade students created their own personal paper skulls. These mixed media projects are filled with fun painted backgrounds and borders and embellishments to complete the artworks. Next, add symmetrical patterns with a pencil. Stress symmetrical designs to keep a cohesive look. Use the FREE pattern handout for inspiration. Just download and print for your students to use. Color in the shapes and designs with thin sharpie markers or regular markers then outline all the shapes with black permanent sharpie marker. Use a 9″ x 12″ piece of colored construction paper for the background. Use a ruler to create a border around the paper. Make sure to line the ruler up with the edge of the paper to get nice, straight lines. Add simple designs and patterns in pencil to the border. Very small patterns such as dots, dashes, and wavy lines create fun borders. Next, add color with tempera paints. When using tempera paints, start with the lightest color first and work up to the darker colors. This will keep your colors bright and clean. Add a simple border in the interior rectangle for added contrast. Glue down the skull with Elmers Glue-All. Add rhinestones and/or sequins. Make sure the embellishments are placed symmetrical and affix with tacky glue. If you love Dia de los Muertos then this Art Lesson Bundle is perfect for you and your students. Key projects are mixed media Calacas (Skeleton) Vignettes, Frida Kahlo’s Still-Lifes using air-dry clay, Mariachi Band Guitars, Marigold Still-Life Collage, and Mexican Serape Blankets. 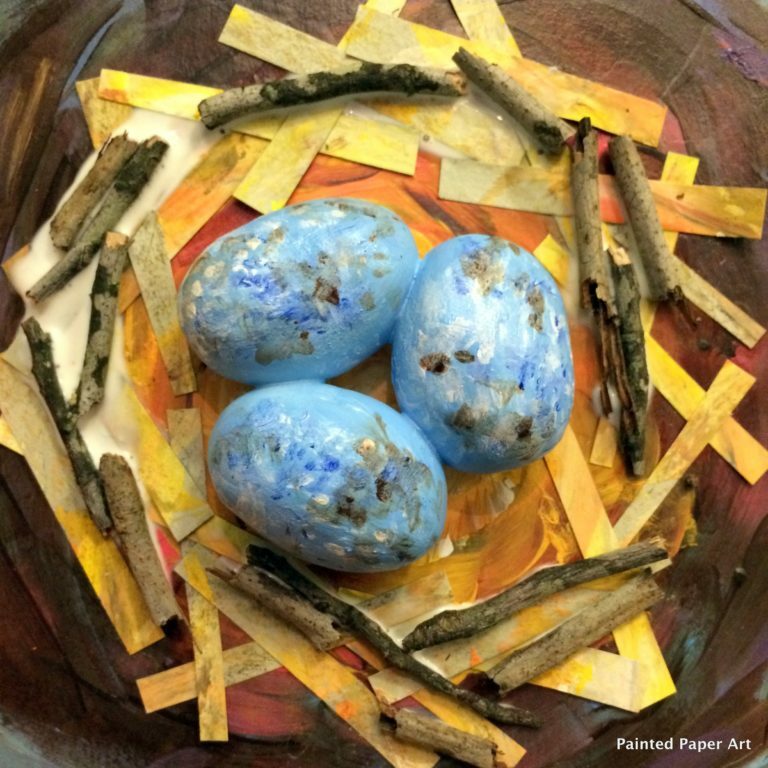 Students will create beautiful, vibrant mixed media projects using tempera paint, oil pastels, painted paper, markers, construction paper and air-dry clay. Plus they will gain an understanding of basic art concepts and art historical and cultural celebrations. • I Can statements tailored for each project. These lessons are great for ages 6-12 but any age student will enjoy these delightful projects, I know my students sure do.